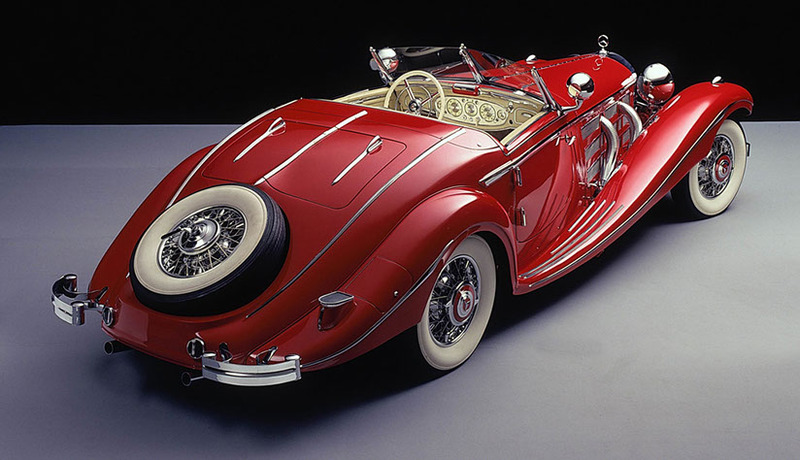 Mercedes-Benz - Model Motorcars, Ltd. 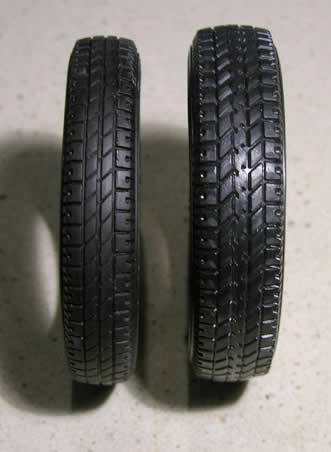 Anyone who has built or is building the Pocher Mercedes-Benz knows the tires provided are too hard, too wide and always misshapen on one side! We have corrected all these problems with our new replacement Tires for the Pocher Mercedes. 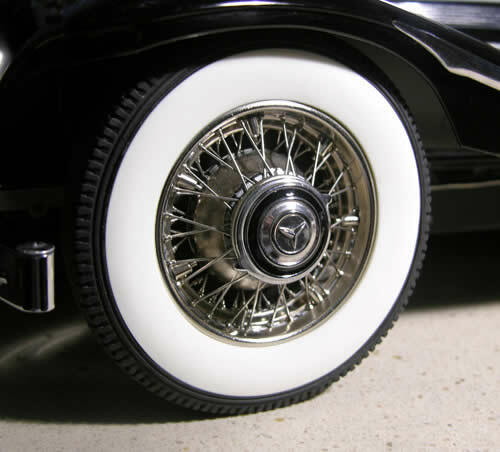 Our Tires are made from the same material that was used in our very successful Alfa and Fiat Tires and the whitewalls are an integral part of the Tire… no more painting! 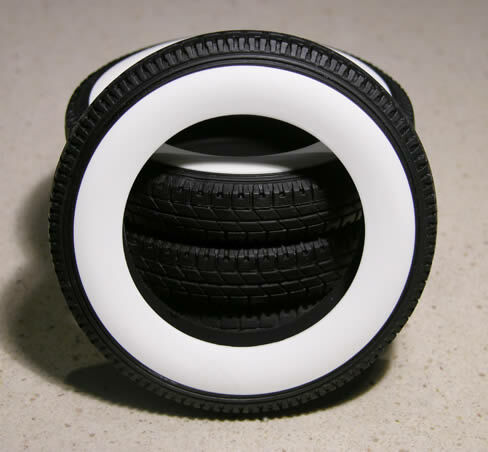 Best of all, we were able to reduce the width of the Tires by almost 1/8th of an inch (3.0 mm) to make them much more like the prototype. Easy to install or remove…no need for heating or boiling! Pocher left out this very important part. 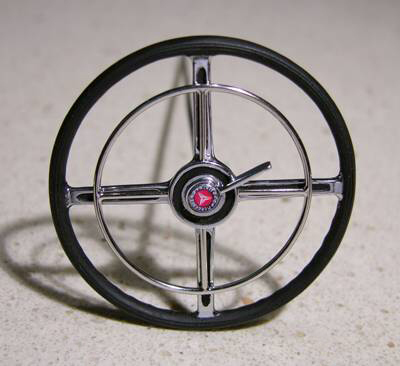 We made one for a model several years ago…and, you have asked for it! 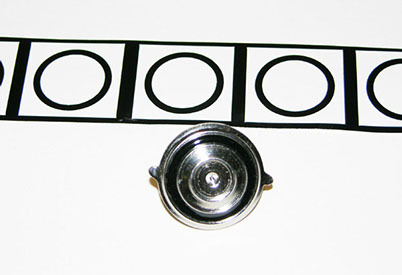 Cast in resin and comes with 00.90 nickel plated bolts with washers. 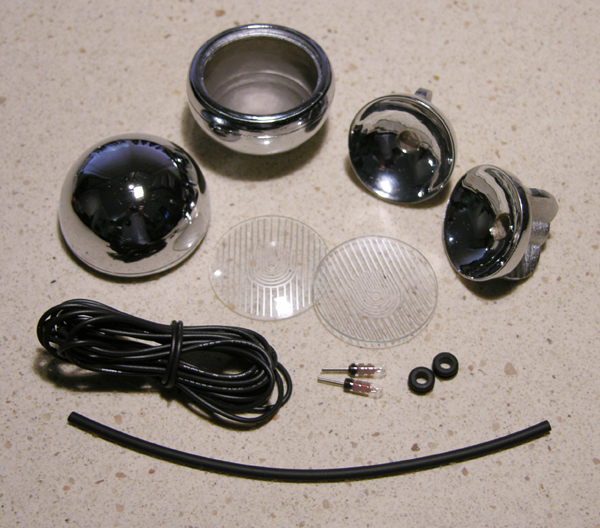 The Complete Mercedes Headlight Set includes the Mercedes Headlights, Reflectors, pattern convex Lenses, bulbs, grommets, heat shrink tubing and wire. 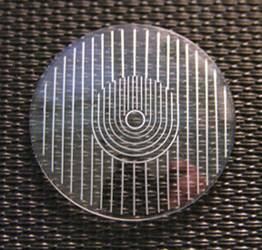 Hand cut, beveled and polished from watch grade 1 mm tempered glass from Germany. Printed with the pattern by the process of tampography. And, yes…they are convex just as the prototype! For years we have suggested builders use the Rear Seats from the Rolls. 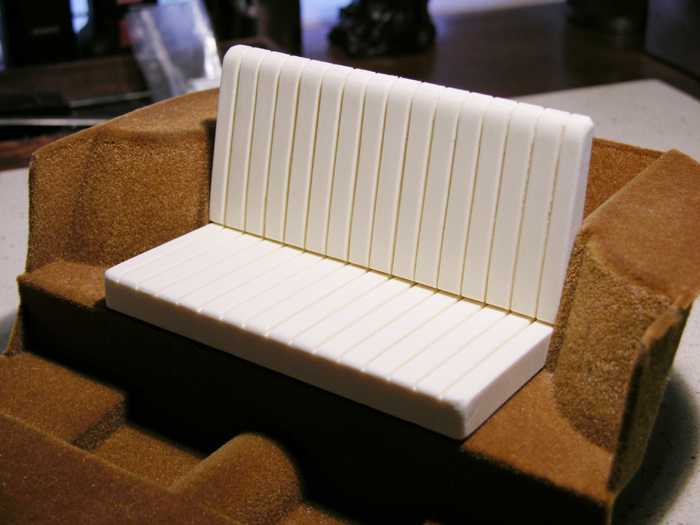 Now, we can offer these resin Seats sized to fit. 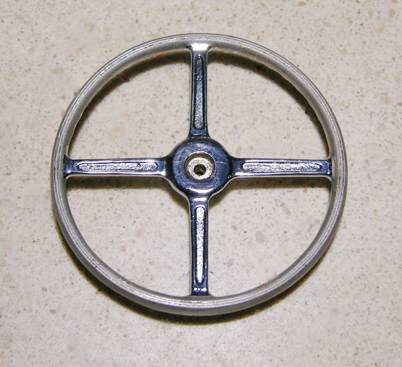 The breakthrough for the new chrome plated cast bronze Steering Wheel is in our sand blasting the rim so it can be painted! 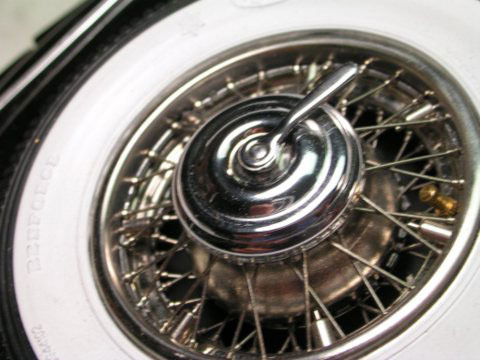 Just mask off the spokes and spray either black or white…the results are amazing. 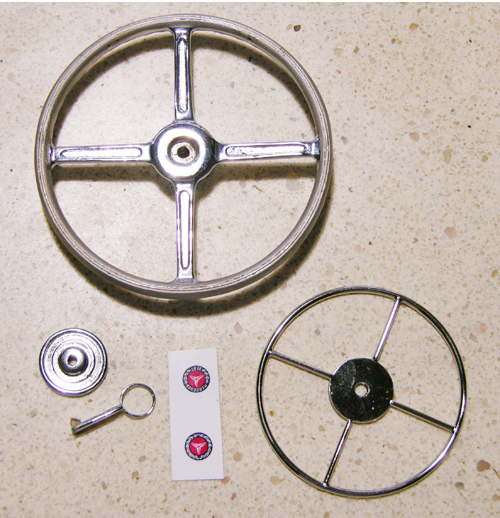 Complete set includes the Steering Wheel and our Steering Wheel Hub, Ignition Lever and Horn Ring. Yet another amazing photo-etched part! 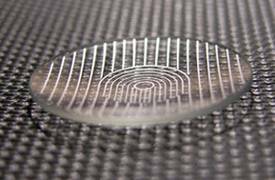 Again, thanks to the efforts of Brian Yingling…we offer replacements to the Pocher provided screening. 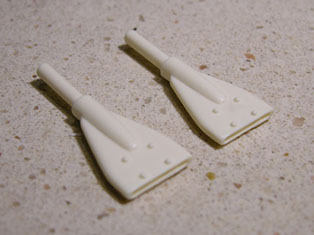 These are doubled etched for realistic depth and fit exactly in the hoods. After many frustrating years of trying to get the Pocher steering linkage to work…we decided to make our own. 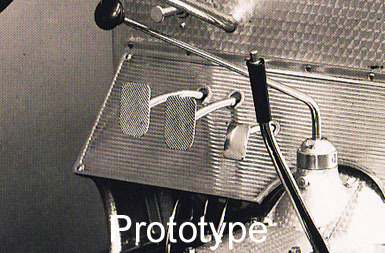 And, as is often the case, the prototype showed the way. As one can see from this drawing and photo, it was really quite simple! 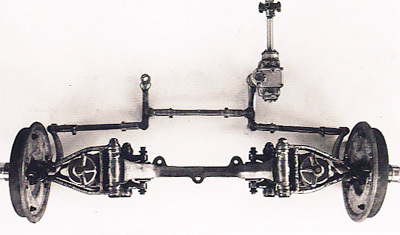 The main problem with the Pocher linkage, besides not looking anything like the prototype, is one of looseness. Ours fit tight and the wheels will really turn. 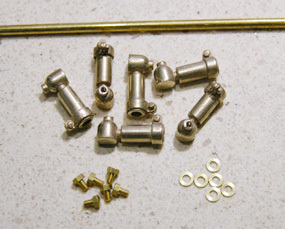 The set comes with 6 Connectors, 10″ of brass rod, and 0-80 bolts and washers. 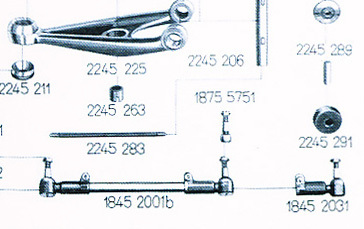 We provide the 3/32” brass rod without cutting it so that the builder can fit each link to conform to the model. Simply apply adhesive. 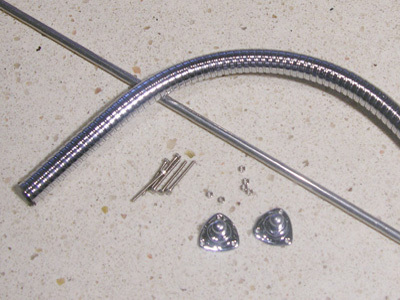 We have developed a complete kit that includes wonderful chromed flexible pipes, MML designed manifold mounts, cast in brass and chrome plated, enough 00-90 bolts and nuts to mount it and an aluminum rod to help hold the shape of the piping. 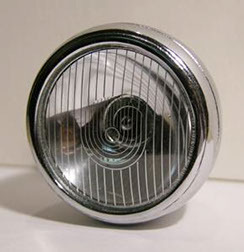 It will transform your Mercedes model and it’s easy to install. These Pedals (brake, clutch and gas) are cast in bronze and nickel plated for a more realistic look. 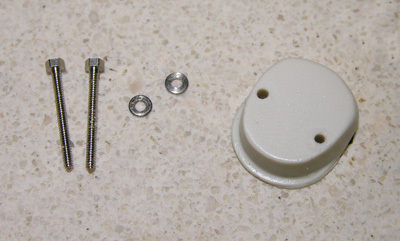 They screw onto the 2.0 mm threaded rod provided in the kit. 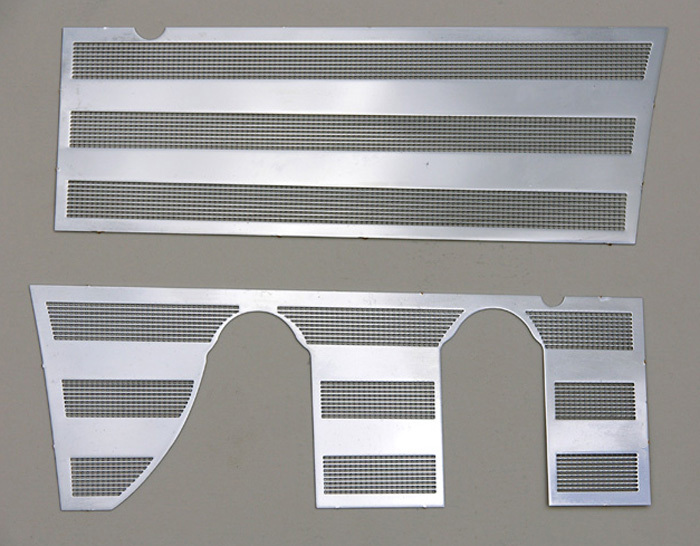 Our new metal overlay Grill easily fits over the existing plastic grill by bending the scored photo-etched tabs. The new Grill is double photo-etched to give it real depth and then nickel plated. Many thanks to our good friend Brian Yingling, who designed this wonderful addition. 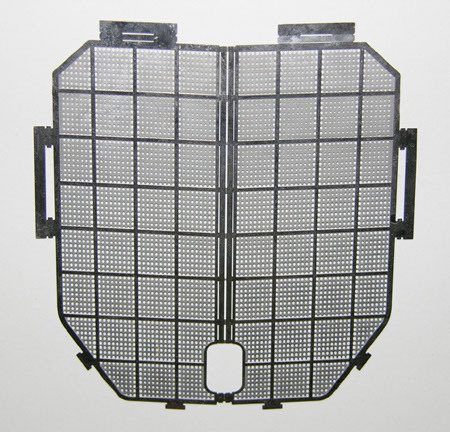 Our resins seats are a direct replacement for the frames, springs and leatherette that come in the K-74/80/82/85/90/93 Mercedes kits. If you do not want to learn how to build a seat with springs and leatherette, these seats are for you. 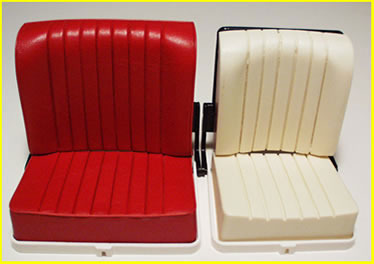 If you want your seats to look like the real thing but you do not want to use a sewing machine, these seats are for you. 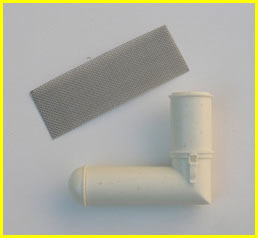 Can be painted and used as-is, or you can cover them with one of our leather kits. Either way, your Mercedes will look like a pro-built model. 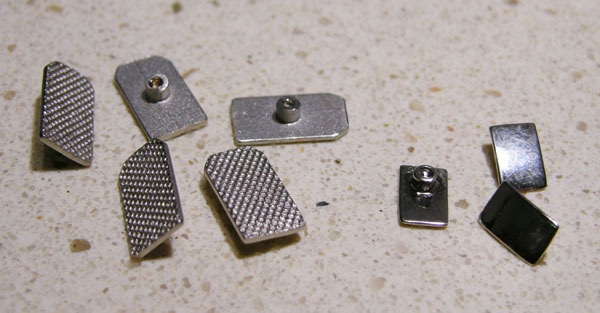 These are easy to retrofit to existing models and have recesses cast into their rear surfaces to accept the Pocher seat frames (not included). 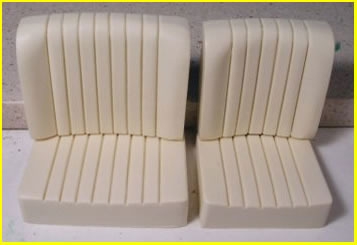 Ingenious modelers will find all sorts of other uses for these seats because the resin material is easy to cut and sand. Set of two front seats (two backs and two seat cushions) to replace the seats of the Pocher Mercedes kit. 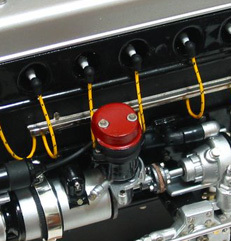 Our snazzy new Landau Bars or “top irons” are now available for the Mercedes Cabriolet kits (K-74 and K-80). 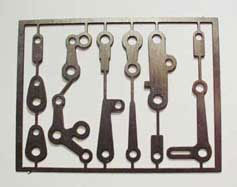 These heavy chrome plated bronze castings replace the thin stamped metal bars that come with the kit. Joining her sisters, now the Mercedes-Benz has her own wonderful Chassis Stand. 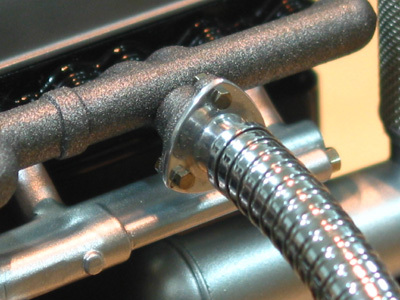 The Mercedes-Benz chassis can be held safely above the work table surface with our Aircraft Aluminum Chassis Stands. 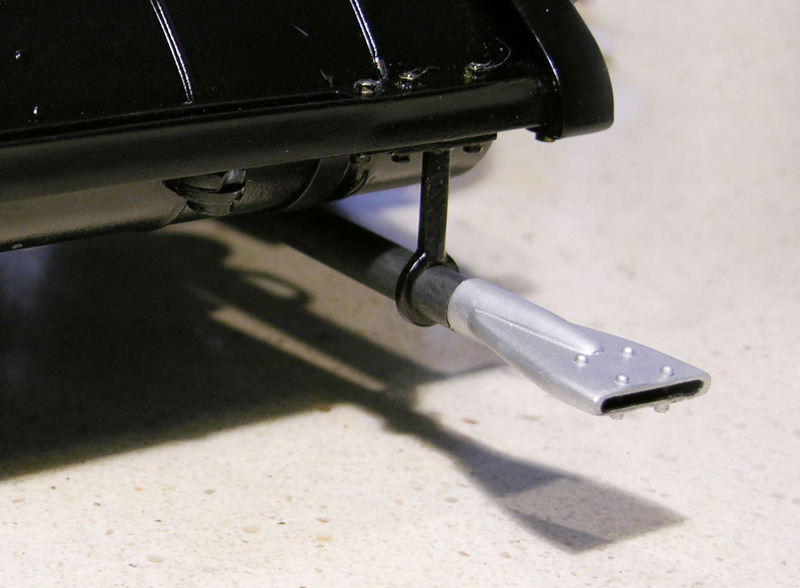 Ingeniously designed by Tom Vitale and meticulously shaped and formed by Darel Magee, our Aircraft Aluminum Chassis Stands are just the thing to make working on brake systems a delightful pastime instead of a dreaded trial. 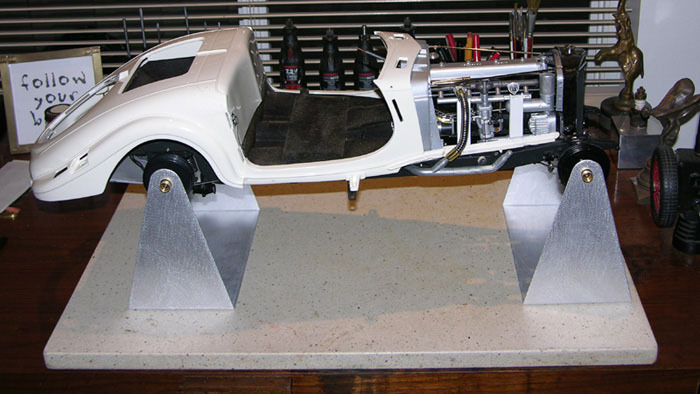 Our thanks to George King for the use of his chassis to demonstrate the Chassis Stands. Just the thing to finish off the spare wheel on your Mercedes-Benz or Rolls-Royce, our new Spare Wheel Wrench is threaded for the 5mm rod that mounts the spare wheels. 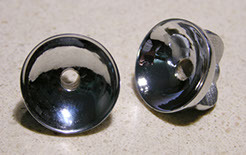 Bronze casting, chrome plated-a perfect finishing touch. 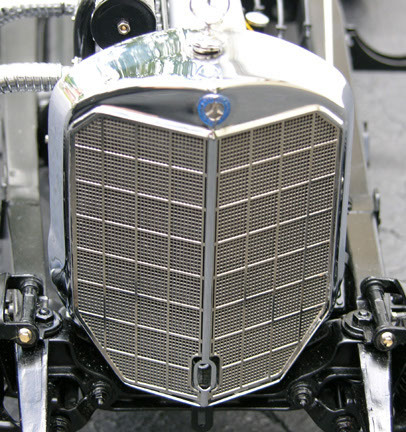 For years there were two alternatives for those happy folk working on a Pocher Mercedes-Benz who wanted to replicate the 540K engine: buy a witheringly expensive Model Motorcar custom-built vertical air-cleaner or scratch build one. 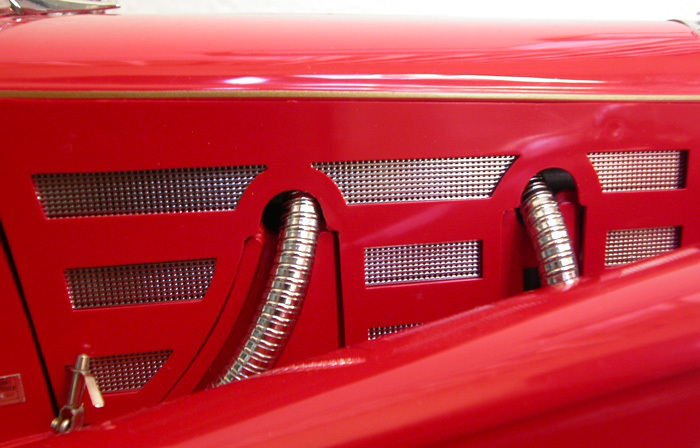 Now there is a third choice, and it comes in the form of our new Mercedes Resin Vertical Air-Cleaner.The Southern Division painstakingly modified one of our custom-built metal air-cleaners so that we could have resin replicas cast. Now all the happy modeler has to do is add spray some paint and install the wire mesh. 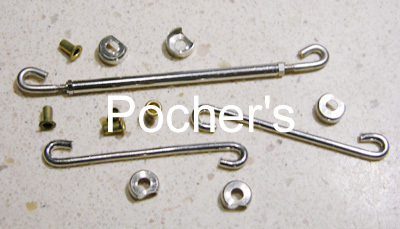 Even the latch looks like it will work (at least from some angles) and because the resin is so easy to work with, the installation is a snap…well…installation is well within the reach of most Pocher builders. Now anyone can have the 540K look. Add horsepower, add good looks, make the engine sound zoomy-all these advantages went with the original. 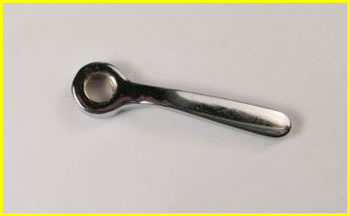 Now available for our beloved Pocher Mercedes-Benz. After the success of our Bugatti Vinyl Transfers, we have developed a neat answer to the tedious job of painting the Hub Caps on the Pocher Mercedes-Benz. These Vinyl Transfers fit easily in the groove and come in either Black or Red. 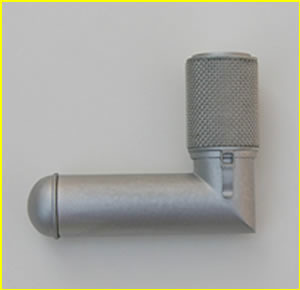 This is a great way to really add some “pop” to your scale 500K or 540K replica.